Sir Fred Winlyn Gollop was a senior Attorney-at-Law, Queens Counsel, and former President of the Senate of Barbados. Sir Fred Gollop has served on the Boards of many Corporations in the public and private sectors and is at present a Director of First Caribbean International Bank Limited and Fortress Fund Managers' Limited. 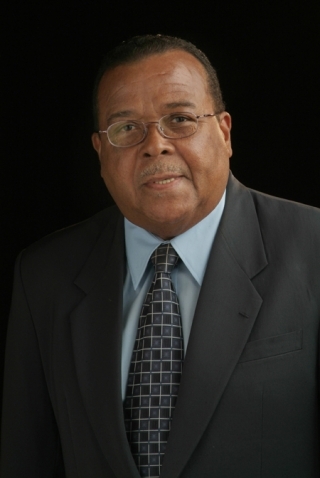 He was the Chairman of the Nation Group of Companies for 34 years, having been one of the founders of the Nation newspaper in 1973; and he was instrumental in the group’s acquisition of Starcom Network and the formation of the One Caribbean Media Group. He was a partner of the law firm of Yearwood & Boyce from 1972 to 1984 and was a member of the Disciplinary Committee of the Barbados Bar Association from 1982 to 1995. Sir Fred was a Director of the Central Bank of Barbados for 10 years and from 2009 to 2012 served as a Commissioner on the Judicial and Legal Services Commission of the Caribbean Court of Justice. Sir Fred was President of the Senate of Barbados from 1994 to 2008; and acted on occasion as Governor General. Sir Fred Gollop was awarded the accolade of Knight of St. Andrew (KA), Barbados' highest honour, in 1996. Sir Fred was married to wife Yvonne Lady Gollop. Sir Fred Gollop died on 20 June 2018, aged 77. He ws afforded an Official Funeral on Tuesday, 26 June 2018 in the Chapel of the Coral Ridge Memorial Gardens. He was alid to rest at Coral Ridge Memorial Gardens, The Ridge, Christ Church, Barbados.